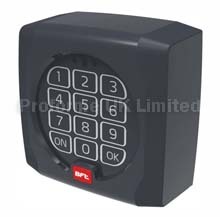 key operated unlock system, easy to operate . Adjustable limit switches on open and close. Standard opening max. 100°, Fast opening. For use with large gate posts. FERNI P - 240v For a pair of gates. FERNI P24 - 24v For a pair of gates. 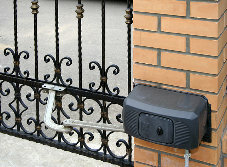 FERNI S - 240V For a single gate. FERNI S24 - 24v For a single gate. FERNIE-P - 240v For a pair of gates. FERNIE-P24 - 24v For a pair of gates. FERNIE-S - 240V For a single gate. FERNIe-S24 - 24v For a single gate. Also available: CAME Ferni operators. Download Ferni PDF File. Here. Download Ferni PDF Tech File. Here.